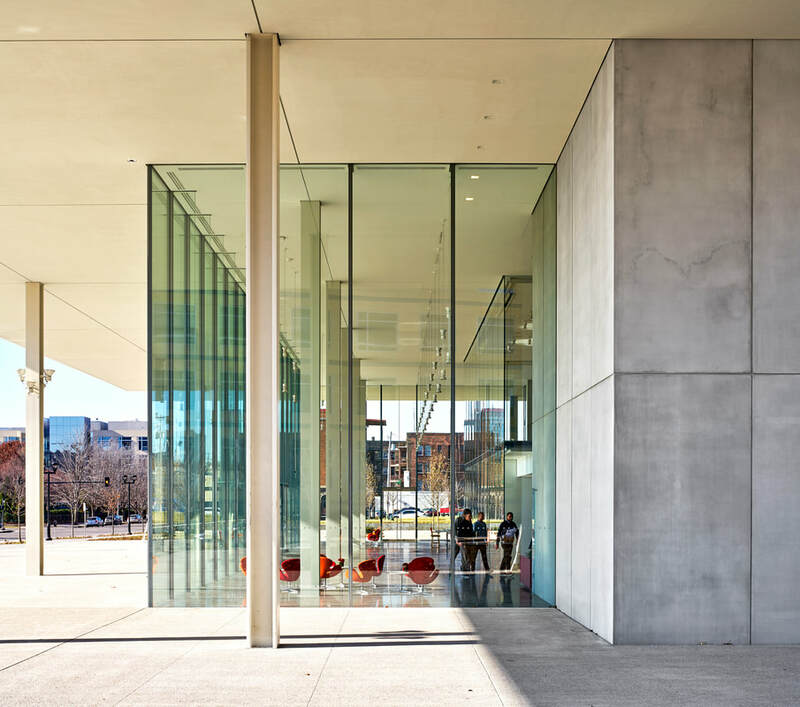 Designed by world-renowned architecture firm, Renzo Piano Building Workshop, Krause Gateway Center is located in Western Gateway Park downtown Des Moines, IA. The building serves as the new headquarters for Kum & Go, but also provides many spaces open to the public. 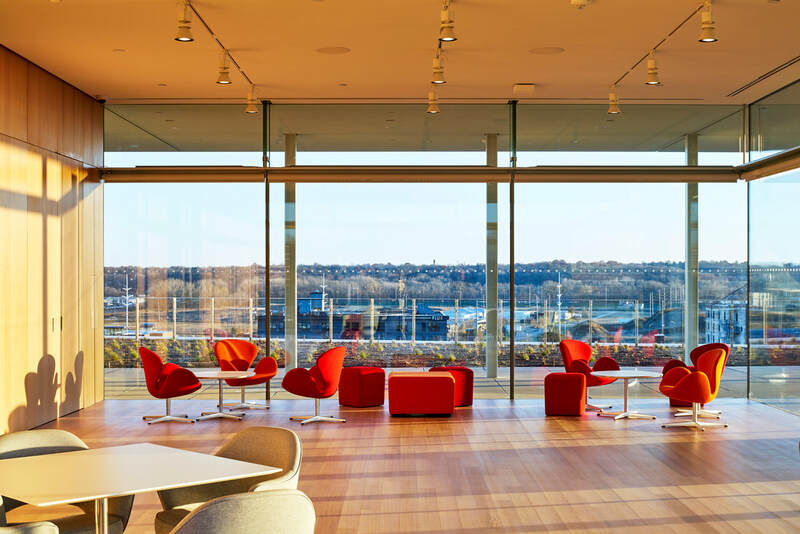 All six stories feature wall-to-wall glass, allowing natural light into the building and views out onto the surrounding Pappajohn Sculpture Park. The lobby boasts 29-ft-tall glass panels, which were the second tallest in North America at the time of installation. AWS is proud to have been awarded the entire building envelope package and work alongside Ryan Companies to bring this project to life. 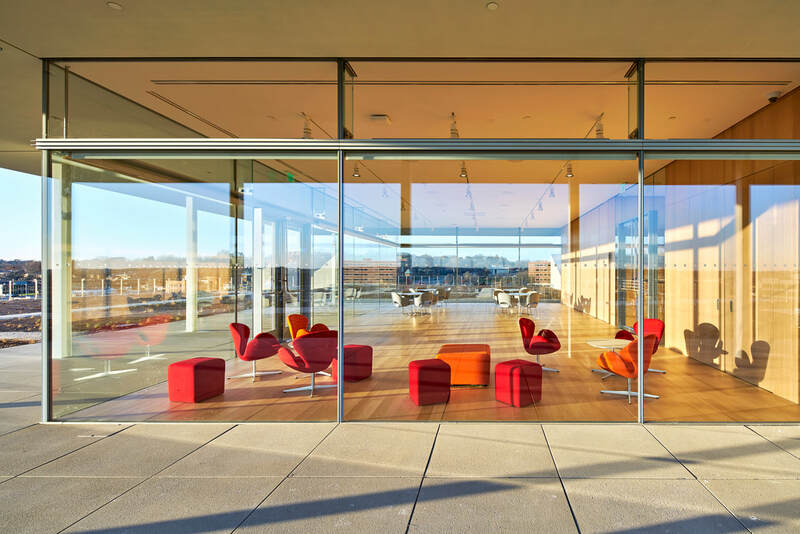 Our design team took on the challenges presented by an all-glass lobby and were able to create custom, workable solutions while maintaining aesthetic integrity. Our field crew also went the extra mile and put in numerous hours up front to prepare for successful handling of glass lites of this magnitude. 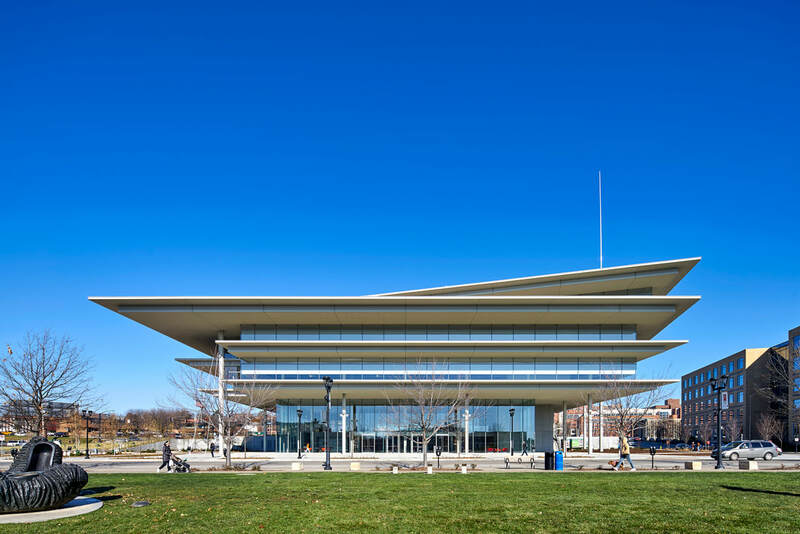 Krause Gateway Center is a great addition to Des Moines architectural portfolio, and the public will enjoy it in the same ways they enjoy the sculptures found in Western Gateway Park.